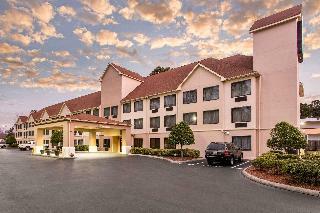 TThis hotel is located 3 km from the University of North Carolina-Wilmington and 6 km from Airlie Gardens. It features an outdoor pool and spacious rooms with a 32-inch flat-screen TV. Free access to the gym and business centre is provided to all guests of the hotel. Laundry facilities and free parking are also available. A daily buffet breakfast is served each morning for hotel guests. Snacks and beverages can be purchased 24/7 at the on-site Suite Shop. Free WiFi and free cable is standard in every room. Decorated with white linens and carpeted floors, all rooms include a coffee maker and work desk. Wilmington International Airport is 8.5 km from the hotel. Wrightsville Beach is just 10 minutes away. City centre - 6.437 Km. At Staybridge Suites Wilmington, we put the amenities where they really count â?? in your room. Our guests can cook meals in their fully equipped kitchen, relax in the relaxing living room while watching movies or your favorite TV show. Business travelers will work more efficiently utilizing the executive desk with speaker phone and free high-speed Internet. 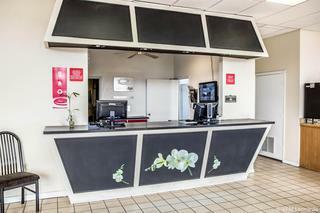 Staybridge Suites Wilmington is within walking distance of many local favorite restaurants. For those guests that prefer to â? ?dine inâ? ?, a fully stocked Bridge Mart provides breakfast, lunch, and dinner options, as well as sodas, snacks, and ice cream. Staybridge Suites Wilmington provides our guests a free fitness center and a comfortable place to do laundry in our guest laundry room. Much larger than the average hotel room and significantly more affordable than a corporate apartment, the Staybridge Suites is the perfect place for relocation, project, temporary assignment or training needs. Unlike a corporate apartment, the Staybridge Suites Wilmington does not require a lease or minimum length of stay. Whether traveling for business or leisure, for one night or several months, Staybridge Suites is the solution to your temporary housing needs. Our Wilmington, NC hotel Is conveniently located between Wrightsville Beach & Historic Wilmington, and less than one mile from the campus of UNC-W We offer great amenities, such as a newly resurfaced outdoor pool with brand new patio furniture, complimentary Wi-Fi access, hot breakfast featuring our signature cinnamon rolls, eggs, bacon or sausage, grits, biscuits, assorted fruits, assorted cereals, assorted juices and coffee, along with yogurt and pancakes. We are the only hotel in Wilmington that has charcoal grills available. This hotel boasts a prime setting in the city centre of Wilmington. 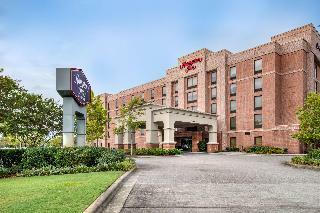 The hotel is situated close to the University of North Carolina, at Wilmington. Guests will find themselves within easy access of the Jungle Rapids Family Fun Park, Cape Fear Museum, Mayfaire Town Centre, and Bellamy Mansion. This wonderful hotel is a great choice for every type of traveller. The guest rooms are superbly designed, offering a comfortable setting in which to completely unwind. Guests are invited to avail of the hotel's many facilities and services. The hotel features a 24-hour business centre, to meet the needs of those travelling for work purposes. The hotel is centrally located and offers easy access to a variety of attractions, being within 8 km of beaches, campuses and the historic downtown. The building has been completely renovated in the year 2005. All spacious guest rooms are comfortably furnished and fitted with an array of contemporary amenities, including coffee makers, hairdryers, irons and ironing boards. Some rooms have microwaves and refrigerators for the storage and preparation of light snacks. Handicap accessible and non-smoking rooms are also available. This hotel provides a seasonal outdoor pool with a picnic area where guests can enjoy a day of family fun. Conveniently located six kilometres from Wilmington International Airport, this affordable and inviting hotel is an ideal base for families who wish to explore Wilmington NC and for business travellers. Local points of interest include Bellamy Mansion Museum, the USS North Carolina Battleship Memorial Park and the Cape Fear Museum. There is a nearby fitness centre and health club & spa. The inviting rooms range from doubles with a king size bed to twin rooms with two double beds. All have expanded cable TV channels, hair dryers, microwaves, individual air conditioning and heaters. There are also rooms with a desk, iron and ironing board and non-smoking rooms. Guests can enjoy a dip in the seasonal outdoor pool. 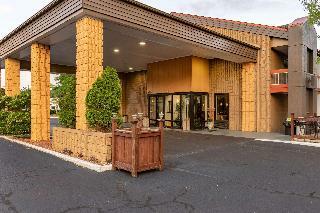 The hotel's other amenities include a free deluxe continental breakfast, wireless internet and local calls. There is also a copy and fax service and free on-site parking.